Are there any plugs etc to fill in the case bolt holes in the CDB plate? Its nice that you got close decking. But the weakest part of the cylinder (where the case bolts go) are still un-reinforced. Talking about 7 and 11 o-clock on cylinder 4 for example. 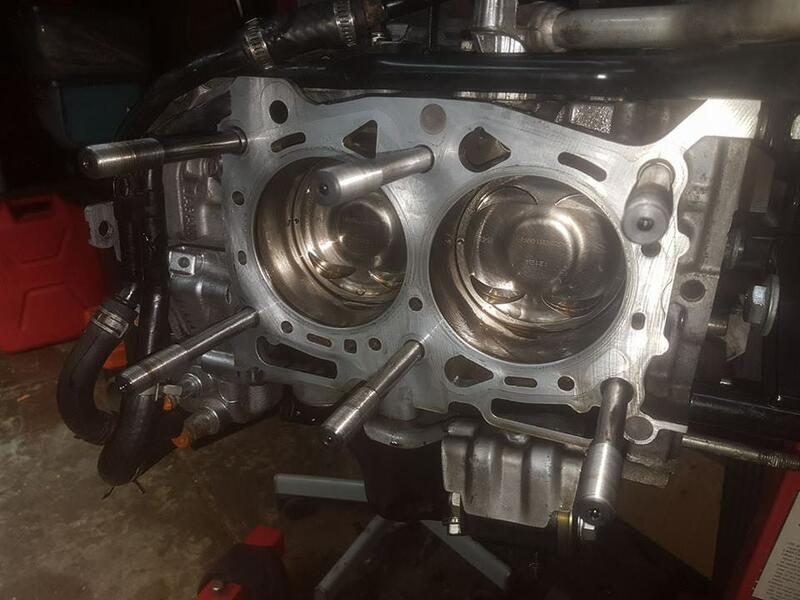 There is some reinforvement around the cylinder walls but no there are no plugs for it. The motor now has both heads fully installed. Cam seals are coming tuesday then i can install the pullys and timing belt then. Should have intake manifold headers and turbo on by then to. King oath. They are awesome. No more mess and over-filling becomes a non-issue. Are you guys paranoid of it sticking out/down? I've got a magnetic plug on the moment. They also offer "mid-length spout" and "no spout" options if you are worried about snagging. I bought the "mid-length spout" version for my wife's car. I usually don't use a hose on the drain valves, but I figured that some kind of spout might be good at directing the drain oil in a neat stream. An owner of the "no spout" version can probably chip in to say whether they drain very neatly too.